First up on the upgrade list is the replacement of the mechanial drive that runs Windows and common program files with a SSD. In the August issue of Maximum PC, they conveniently reviewed two drives. The Sandisk Extreme 240GB and the OCZ Vertex 4 256GB were compared with the Vertex model scoring higher at the cost of more money. I’ve decided to perform a clean install of Windows 7 64-bit rather than go through the backup/recovery process. I was also thinking of moving the Eve client to the SSD but it seems that there is little benefit to that. …as a few have stated the SSD’s can help with loading times. internally we what we call a “perforce” client which is a client we run directly from our perforce server (source code repository). this doesn’t run from stuff files, so we have to use the OS’s filesystem more than we do with a built client. not running on SSD’s in this case adds maybe 2-3 seconds on startup or something stupid like that. on a built client, i would be surprised if the different was anything even worth timing. Next up on the chopping block is the removal of the aging GTX 260 with a current 6xx series model for silky smooth Eve triple-boxing while trading (overkill). I spent about an hour trying to flash the drive up to the current 1.4.x firmware from the factory 1.3 as the newer 1.4 firmware has some major speed improvements. The problem was that I was trying to flash using SATA4 and not SATA0 or SATA1. I picked slot 4 because it was easily accessible. I upgraded to an SSD just recently and in a general sense, MY GOD IT’S FAST! I can’t remember such a performance increase from a single component before, in all my pc upgrading days. You’ll love it. Personally, I have Eve on my SSD. While the performance increase may only be 1 second here, half a second there, is that not the whole point of having the SSD? 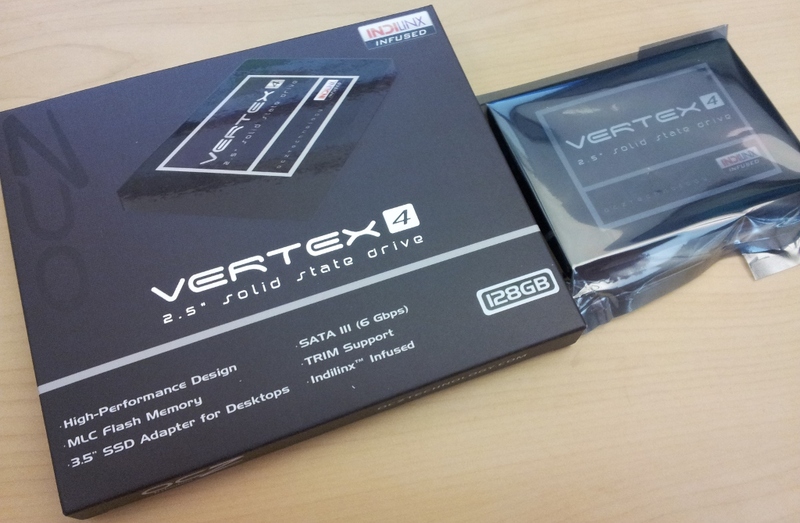 An SSD is for the OS and your most commonly run applications. So unless you’re going to fill it up with other apps which you use more/would benefit more, why not just stick it on? Grid loading is much faster on a SSD. Just saying. I don’t have any solid performance numbers, but you’re right. The grid load does seem a little faster with the Eve folder on the SSD. Thanks for the tip. 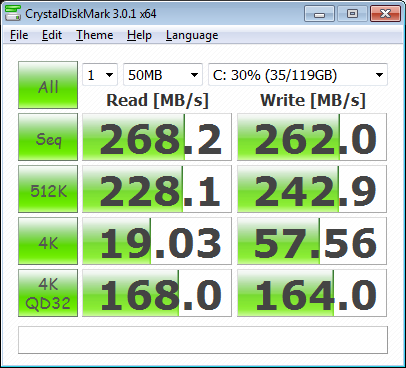 I love my SSD. As a linux user I’m used to quick bootup times but going from a SATA to SSD was phenominal.I can now go from cold boot to goole in under 30 seconds. Most of the wait time is loading the BIOS so I am impressed. I have a corsair 60GB in mine but for me this is perfect. The SSD as you’ve mentioned is for OS and most used apps only, all data I keep on a seperate SATA which I moved my home folder to. I have my tranquility client on the SSD and Sisi on the Sata and have to admit that there is very little difference between load times and general operation. I could probably move the client back to SATA without noticing any performance hit in eve. What I do notice however is that while playing eve, I can load up firefox in a flash to check dotlan. Chrome feels like it’s there before you’ve even clicked on docky…..